Dr. Jeffrey Hoffman is retired astronaut and MIT Professor of Aeronautics and Astronautics. While at NASA he made five flights as a space shuttle astronaut, including the first mission to repair the Hubble Space Telescope in 1993, when the orbiting telescope's flawed optical system was corrected. Trained as an astrophysicist, he also flew on 1990 Spacelab shuttle mission that featured the ASTRO-1 ultraviolet astronomical observatory in the shuttle's payload bay. Over the course of his five missions he logged more than 1,211 hours and 21.5 million miles in space. Over the years he has been involved with the ASTRO-1 ultraviolet astronomy laboratory, the Italian Tethered Satellite System (TSS), and the HEAO-1 A4 hard x-ray and gamma ray experiment. Dr. Hoffman is a member of the International Academy of Astronautics, American Institute of Aeronautics and Astronautics, American Astronomical Society, and the International Astronomical Union. He has received numerous NASA service medals, the National Aeronautic Association Collier Trophy, American Astronautical Society Victor A. Prather Award, and numerous other awards and recognition. 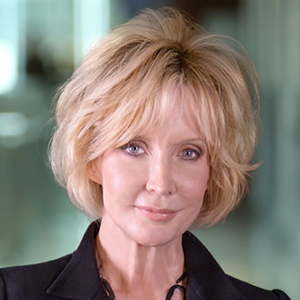 Dr. Cheryl A. Nickerson is a Professor in the School of Life Sciences at the Biodesign Institute at Arizona State University. She is internationally recognized as a pioneer in using the microgravity environment of spaceflight as a unique biomedical research platform to study the effects of physical forces (gravity, fluid flow) on microbial and human cells, how this response is related to normal cellular function or infectious disease progression, and its translation to biomedical and clinical applications. Her multidisciplinary and innovative research approach blends microbiology, tissue engineering, and physics to mimic the dynamic interactions between the host, the pathogen, and their environment that lead to infection and disease. Her landmark discoveries during eight spaceflight experiments aboard the NASA Space Shuttle, SpaceX, and the International Space Station (ISS) have laid the foundation for use of the microgravity research platform for modern microbiological research in space and commercial spaceflight vaccine development initiatives. Building upon NASA technological advances in ground-based microgravity analogues, Dr. Nickerson has developed several innovative model pathogenesis systems to study infectious disease processes on Earth, including the establishment of three-dimensional (3-D) organotypic tissue culture models as predictive platforms to study host-pathogen interactions, andthe characterization of microbial pathogen responses to physiological fluid flow forces encountered in the infected host. Collectively, her discoveries of unique changes in the disease-causing potential of microbial pathogens and bioengineering of advanced 3-D organotypic models of human tissues to study infectious disease and drug/therapeutic development have resulted in a paradigm shift in how we view the infection process from the host-pathogen perspective. Based on her experience and expertise in the field, Dr. Nickerson has testified before Congress regarding the potential of the microgravity research platform for next generation advances in biomedical research. She is a recipient of the Presidential Early Career Award for Scientists and Engineers, NASA’s Exceptional Scientific Achievement Medal, serves as founding Editor-in-Chief of the Nature journal npj Microgravity, and was selected as a NASA Astronaut candidate finalist. Dr. Partridge is the NASA Ames Center Chief Technologist (CCT), and as such identifies, defines, develops and integrates new and emerging technologies for application to Agency and national goals through the NASA Space Technology Mission Directorate (STMD). 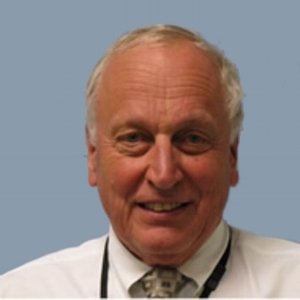 Harry reports to Center management and serves as the principal advisor to the Center leadership on matters concerning Center-wide technology development and leverage. His duties include representation on the Agency-wide Center Chief Technologist's Council and management of the Center Innovation Fund, and he also serves as Center point-of-contact to the Office of the Chief Technologist (OCT). Dr. Pellis is one of the leading experts on how microgravity affects human cells. 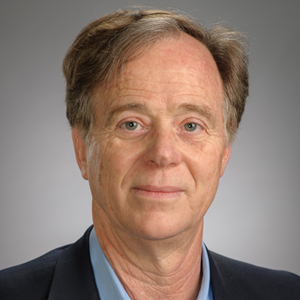 He is the former Director of Space Life Sciences at the Universities Space Research Assocation (USRA), Senior Scientist with the Space Life Science Directorate at NASA's Johnson Space Center, and Adjunct Associate Professor and Associate Immunologist at University of Texas M. D. Anderson Cancer Center. He has published over 130 papers on microgravity effects on human microbiology and immunology. He received his Ph.D. in Microbiology from Miami University, Oxford, Ohio and spent his Postdoctoral Fellowship at the Department of Medical Microbiology at Stanford. General William Thornton (ret.) has possibly flown every Air Force aircraft currently capable of flight. He has over 20 years of leadership experience that includes multiple C-level roles and the rank of Brigadier General in the United States Air Force. His background includes VP of Cyber Security for E*Trade, Director of Air, Space and Information Operations for the Air Force Materiel Command, 412 Test Wing Commander for Edwards Air Force Base. While Commander of the 412 Test Wing he planned and executed 100s of the nation’s most important flight test programs at the largest test flight center in the U.S., including airborne laser shoot-down of missiles, X-51 hypersonic first flight, and F-35 among others. William received an MS in National Resource Strategy from the National Defense University (ICAF), a BS in Military Strategic Studies from the Marine Corps University, an MS in Aviation Systems from University of Tennessee Space Institute, and a BS in Computer Science from Northwestern University.